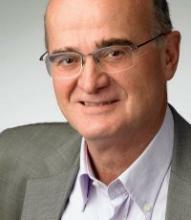 knowledge strategy | Agile KM for me… and you? Nothing like having your back to the wall to do some useful research. Here I am, fishing for ideas on good communication and knowledge management strategies. I addressed how to develop a communication strategy a while back. And though I’ve shared some ideas on how I would go about a KM strategy, I haven’t really synthesised all the stuff I’ve found useful to do so through the years; so here’s some stock-taking exercise for resources dealing with designing and rolling out a knowledge management strategy. Caveat: This is not a simple exercise, as most companies want to preciously hoard their information about this business-critical area of work. Case studies do exist a bit everywhere but this post doesn’t attempt at highlighting those in particular. As ever, the KM4Dev wiki is a gold mine of relevant information and as you might expect, KM4Devers have explored this topic more than once. 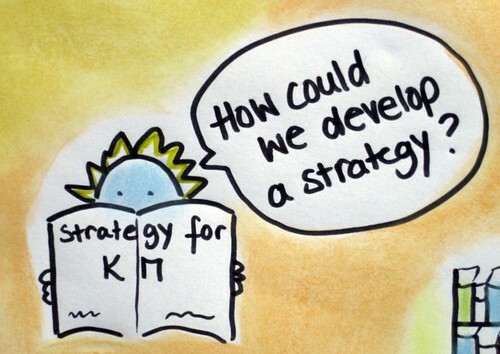 So we have four waves of KM strategy conversations here, as well as some useful (quite recent) case studies at the end. What’s useful: the attention to principles of action and the fact that this resource is quite easy to absorb and to implement as it has a good, concrete, summary section. An excellent starting point. APQC have a lot of experience with KM and they are really interested in connecting with other people that work on or around KM (they incidentally interviewed me a couple of times about getting KM and comms accepted and valued and about developing a content management strategy that works across generations of workers (the second part of a two-piece series). 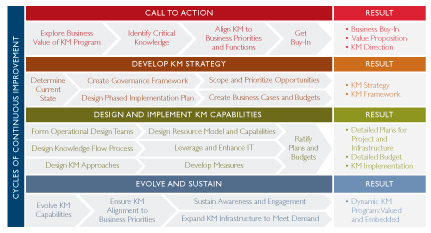 Their interactive KM strategy framework allows you to select a different phase of KM strategy development and zoom in on specific challenges and related posts, other writings or resources… So a good complement to the KM4Dev wiki. However here nothing is said about how you should go about it, but that’s because APQC, like quite a few other people mentioned here, makes a business out of advising you on KM too. This series of 12 Powerpoint presentations might, at times, seem a bit dry to read but it contains a wealth of advices regarding knowledge and knowledge management. The part 5 focuses on developing a knowledge and then a knowledge management strategy, looking also at how to measure KM successfully and how to launch your KM program. There is perhaps nothing really brand new in this but the merit of this master course is to be quite comprehensive and to be transparent. The recent book by Stephanie Barnes and Knoco’s Nick Milton is allegedly one of the best reads on this topic and is most likely selling fast too. I don’t like to promote pay-for resources so much, that’s why I’m keeping this for the end of this selection. The reason why this features here – and before I have even read the book myself (though I ordered it) is that Nick Milton has been blogging very regularly the past few years, and very regularly about some very good stuff. So do check his blog. 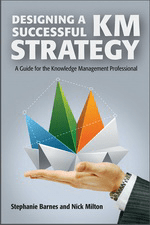 The points that I like about his approach to KM strategy include among others: Pilots, change management (not just KM), attention to facilitation as part of the skill set of a knowledge manager, guerrilla strategy, attention to principles and key knowledge areas, in addition to the standard stuff you can find in other resources mentioned here. The link above leads to the pay-for version of the full text article on the Taylor & Francis website but you can also request it to me here as it has become public access and will soon be moved to the Open Access platform of the Knowledge Management for Development Journal. What about agile KM then? Now, if I’m true to my own model of KM=CDL, I would end this stock-taking exercise by wondering how a KM strategy addresses a) cultivating conversations, b) documenting these and other experiences and c) stimulating action-focused learning, and this at organisational level but with a strong inclination to connect with individual level and (inter)institutional level. But that is too much at this stage, so more matter for another post. You can see more resources in my bookmarks on KM strategy and as mentioned above I’ll keep on updating this so watch this space!